Lunch at Riverbend Academy is not a twenty minute flurry of lunch bags and juice boxes. 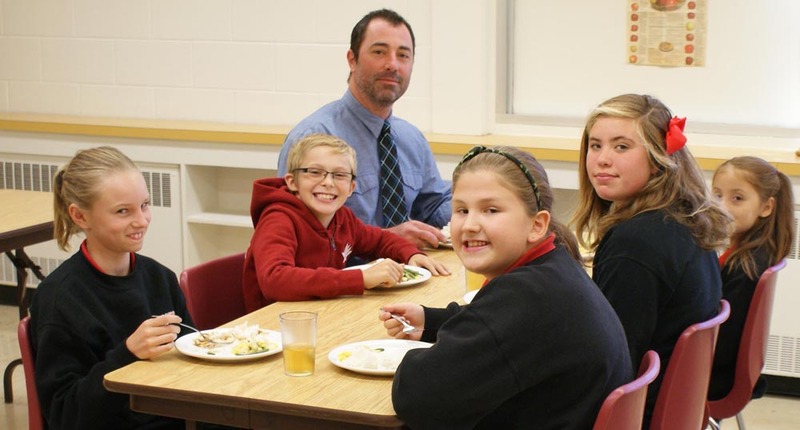 Our lunches are a community gathering of staff and students for a 30 minute nutritious lunch. Students use the time to enjoy each others company and mix and mingle among grades, with the older students happily mentoring younger students. Following lunch students go outside for 30 minutes in the fresh air to enjoy the 7.8 acre grounds.